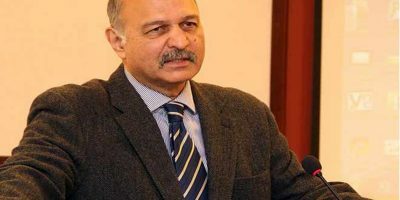 ISLAMABAD, (DNA) – Pakistan and India will hold dialogues on Tuesday (tomorrow) following a constructive meeting held in a cordial environment on March 14. According to diplomatic sources, the dialogues will be held at Dera Baba Nanak at Zero Line in Kartarpur, which would be attended by the technical teams of both countries. “Designs of Kartarpur corridor, roads and other technical affairs would be discussed in the meeting which would be attended by the engineers, NIH and other officials,” sources added. On March 14, Pakistan and India agreed to hold a second round of discussion to finalise the modalities for the Kartarpur Corridor on April 2 following today’s ‘constructive meeting in a cordial environment’. Talking to media upon his return from India Foreign Office Spokesperson Dr Mohammad Faisal said that technical experts from both the countries will meet next Tuesday. Technical team and experts are scheduled to discuss issues relating to the corridor, its construction, road, and other technicalities. The April 2 meeting will be technical in nature and holds great importance, he further said. “There were differences on certain aspects, the details of which cannot be revealed at the moment,” he went on to say. A statement by FO read, “The first meeting to discuss the modalities and the draft Agreement for facilitation of pilgrims to visit Gurudwara Kartarpur Sahib using the Kartarpur Corridor was held today at Attari, India in a cordial environment. In November 2018, Pakistan offered India the building of the corridor for Sikh pilgrims for visiting the Gurudwara at Kartarpur where the founder of Sikhism – Guru Nanak lived for 18 years. The project, with 40 percent of the work already done, is being anticipated to be completed just before the 550th birth anniversary of Guru Nanak in 2019 with a community-wide groundbreaking ceremony for Sikh pilgrims at the Gurdwara in Kartarpur Sahib. Later, the building of a passenger terminal building (PTB complex) at the cost of Rs190 crores was approved, which will be able to handle immigration and customs clearance facilities for5000 pilgrims every day. In the second phase, a hospital and accommodation for temporary staying will also be built. A bridge over Ravi river will also be built for crossing of pilgrims. The corridor can pave a way for “facilitating and fortifying” people-to-people bonds of the two countries. Besides, India has approved Dera Baba Nanak in Gurdaspur as the coordinates of Zero Point (crossing point) for the opening of the Kartarpur corridor along the International Border with Pakistan. It has been decided to establish the Kartarpur corridor from Dera Baba Nanak in Gurdaspur district in Punjab to the International Border. Earlier in a historical event on November 28, Prime Minister (PM) Imran Khan laid the foundation stone of Kartarpur Corridor which was also attended by Indian ministers Navjot Singh Sidhu, Harsimrat Kaur Badal and Hardeep Singh Puri on the invitation of the Pakistan government. 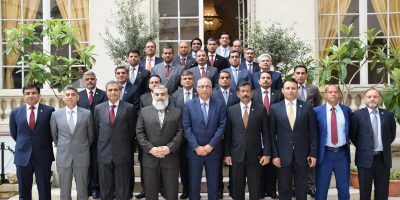 On March 7, PM Imran Khan had directed the Frontier Works Organization (FWO) to ensure timely completion of the project on Pakistani side of the border. 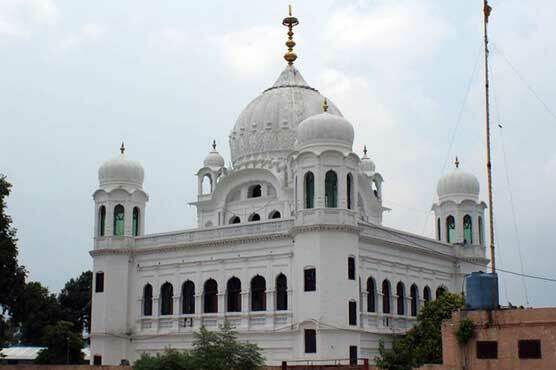 The much-awaited corridor will connect Darbar Sahib in Pakistan’s Kartarpur – the final resting place of Sikh faith’s founder Guru Nanak Dev – with Dera Baba Nanak shrine in India’s Gurdaspur district and facilitate visa-free movement of Indian Sikh pilgrims, who will have to just obtain a permit to visit Kartarpur Sahib.